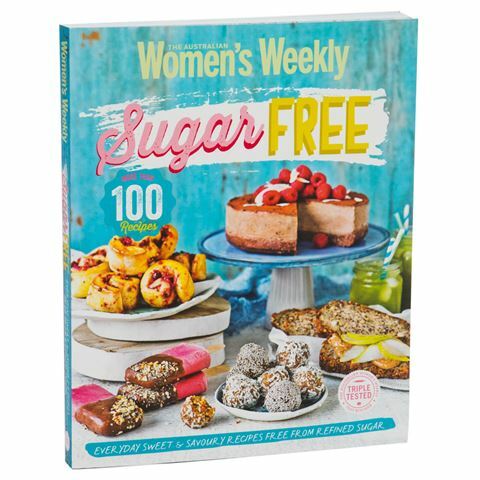 If Australia has a food culture, then we’re pretty sure that The Australian Women’s Weekly has helped define it. Within the Sugar Free cookbook, the Weekly foodies steer away from their sickly sweet cakes and comfort food, and serve up an extensive list of healthy recipes in order to reduce your amount of unrefined sugar intake. With a focus on natural, unrefined sugars that are going to nourish and replenish the body rather than indulge, Sugar Free offers 100 delicious recipes to cater to all kinds of palates. Recipes take readers from breakfast right through to their 3pm slump to dessert and include simple instructions, handy tips and full colour photography. Baked Turkish Eggs with Lamb Mince, Seeded Cauliflower Falafel, Chilli Lime Snapper with Corn Salsa Salad, Tahini Caramel Choc Cups – you can learn to master all of these recipes and more. There’s even a full glossary and important notes regarding sugar alternatives to help you on your culinary journey. Includes 100 recipes sugar-free recipes. Recipes are divided into chapters – Power Starts, Lunch or Dinner, 3pm Slump, Baking, and more. Glossary and full index in the back. All recipes are triple tested for your success.